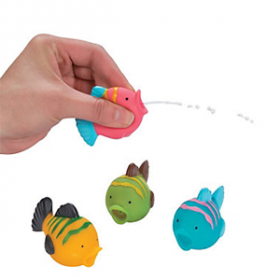 These colorful vinyl fish water toys for kids are ready to help you cool off! 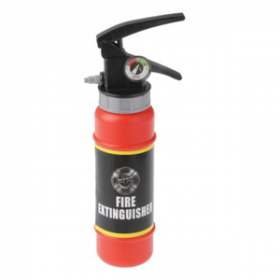 Put out the "fires" with this fire extinguisher water shooter. 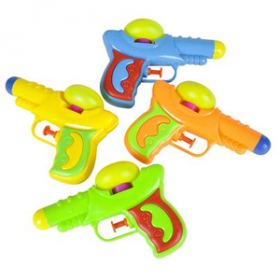 If you need hawaiian beach party games then you no longer need to fish around for the right one. 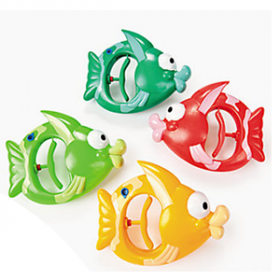 These Fish-Shaped Ring Toss Water Games are great for a beach party for kids. 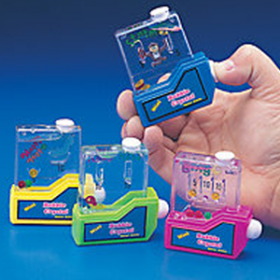 Fill these vinyl amphibians with water and squirt your friends! 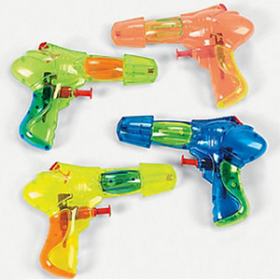 Wet and wild fun for birthday parties or just have some squirt guns around for random water fights while the weather is nice. 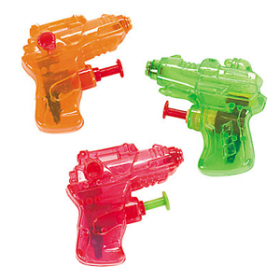 Contains 50 mini squirt guns! 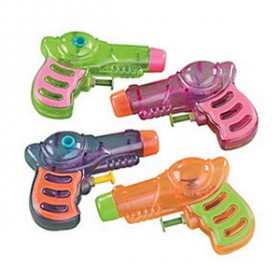 Cool off on a hot summer day with plastic Neon Grip Squirt Guns in fun colors! 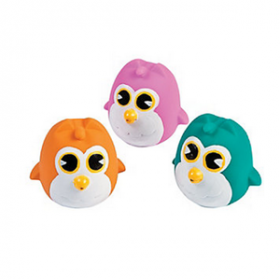 These adorable Owl Squirts are a wise way to stay cool! 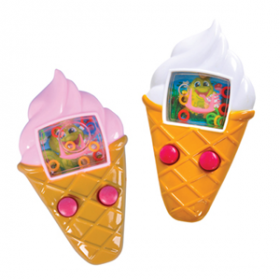 Use these as a fun way to cool off on a hot summer day! 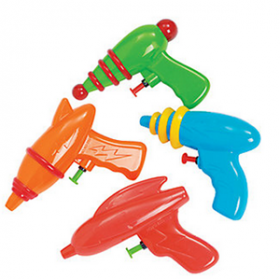 These plastic Tropical Fish Water Guns feature big-eyed, big-mouthed fish in green, blue, red and yellow colors. 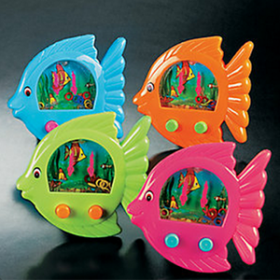 They are fun for long vacation car trips and these colorful activities also make fun favors at a beach party or birthday bash.